The beginning of a new college football season can be one of the most profitable times of the season for sports bettors, but it can also quickly turn into a disaster depending on how much effort the bettor put into the sport during the off-season. The betting public tends to put a little too much emphasis on what a team did the previous season! While there’s the next group of bettors who put a little bit of effort into reading up on personnel changes, but don’t do enough work to give themselves any advantage over the odds-maker. Knowing a team is returning eight starters on offense is not very meaningful unless you happen to know the quality of the three players who were lost and how good their replacements are. Too many bettors focus on the quantity of players, rather than the quality of players who were lost or are entering a program. The general consensus is that a team returning most of its starters will be improved, but that’s not always the case. Many times a really bad team returning its starters will once again be a really bad team, just a really bad team that is a year older. As a general rule, the teams like Alabama, Florida State, Florida, LSU, Michigan, Michigan State and Ohio State can afford to lose starting players more than a middle-of-the-pack school, as the powerhouses tend to attract the top recruits. The one possible exception is at quarterback, as many of the top-rated prospects look for schools that tend to emphasize the passing game and would rather play at a school that gives them an opportunity to showcase their skills. Since the quarterback position is the most important in college football, it’s worth spending a bit of extra time to read about new quarterbacks. Do they have any game experience? How did they perform in the spring game? Knowing that a team has a competent quarterback to take over after a big name quarterback leaves is a bit of an edge, as many bettors will automatically downgrade the team due to losing their quarterback. On the other side, knowing that a good team is going to have problems at quarterback is just as valuable, as the team may be a bit overpriced to start the season until the rest of the bettors realize how bad the replacement quarterback is. One area that may impact teams is when a bulk of players graduate from a particular unit, such as the offensive line, linebackers or secondary. A team returning eight starters on defense may be in worse shape than a team returning six starters if all three of those players were linebackers or defensive backs. Bettors also need to be aware of coaching changes, but more importantly, coaching philosophy changes. When a new coach takes over a team he inherits the players the previous coach recruited. Those players may not be suited for what the new coach wants to do, so the team may have several mediocre years until the new coach has a roster full of his recruits. If a coach comes to a new team from outside the program, look to see if there are philosophical differences. Is a passing coach taking over a running team or vice-versa? Assistants promoted to head coach from within a program are much more likely to stick with what the team has done in the past. Also pay attention to coaching trends in non-conference games. Some coaches are more interested in getting players playing time and tinkering with line-ups in order to field the best team possible when conference play begins, while others place a bigger emphasis on winning non-conference games, so there is often a large disparity in the ATS records of coaches in early season games. Also pay attention to how coaches do in relation to totals in early season on-conference games. Some coaches will play things close to the vest and run a rather bland offense in the early part of the season, which will lead to more unders. Iowa State’s Paul Rhoads fits this description, as the Cyclones are 6-12 in totals in non-conference games since Rhoads took over the program in 2009. Other coaches, such as Troy’s Larry Blakeney, have a tendency to go over the total, as evidenced by the Trojans’ 18-5 over record in non-conference games since 2009. The more work you can do now, the more likely it is that you’ll be paid off when September rolls around. 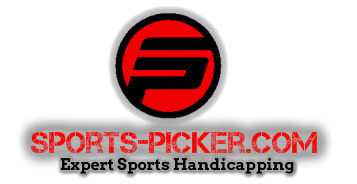 If you are looking at getting started betting NCAA Football, my favorite place to place a wager is 5Dimes.eu they have the most options and consistently have the most competitive lines. If you open a new account with $100 or more, send me an email and I will give you a FREE week of my VIP Client picks.